If confirmed by foreign experts, the test will cause a strong push for new and even tougher sanctions to be imposed by United Nations and shall also damage the relations that Pyongyang has with neighbors. 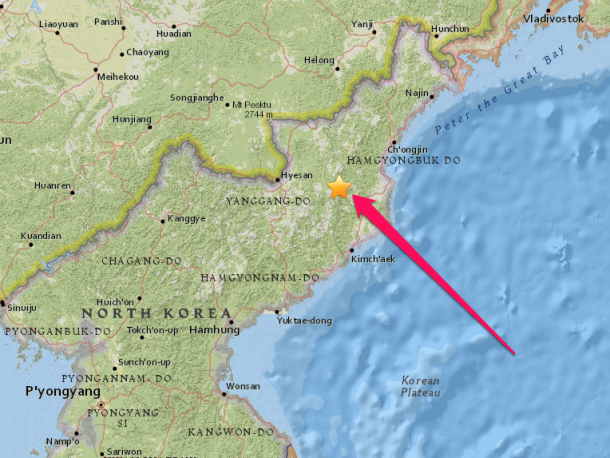 BREAKING: South Korean weather agency sees signs of "artificial quake" near North Korean nuke test site. The White House stated that it could not confirm the claims of North Korea, however, is ‘monitoring and continuing to assess the situation’. The UN Security Council is going to conduct an emergency meeting today to talk about the latest nuclear test from North Korea and chances are that this meeting would be a closed meeting. It would seem that North Korea is moving closer to building a warhead that is small enough to be mounted on a missile and capable of making its way to mainland America’s shores. Is the world hurricane’s and flooding, a direct aftermath from the testing of a bomb in NK?